Three rounds into the season and we are already seeing shock results in the National First Division. Jomo Cosmos were surprised by Tshakuma FC while Highlands Park went down to University of Pretoria. New kids on the block, Uthongathi FC got the better of potential title contenders, Black Leopards. If you were brave enough to back the underdogs you surely made a lot of money. 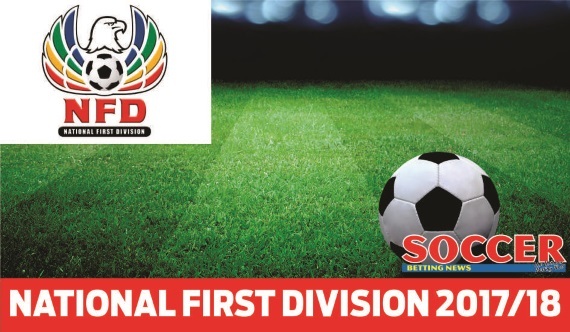 Newly-formed Richards Bay FC and the rookies, Super Eagles are in the drop zone at this stage. Another enthralling week of NFD football awaits, let’s predict what might happen. The morning leaders of the NFD, Highlands Park were toppled last week as they shockingly lost to University of Pretoria. They now lie second on the log with six points in three games. They will be looking to return to winning ways against a newly bought franchise which last week slayed another NFD giant. After losing their first two matches, Limpopo side – Tshakuma FC ground out a 1-0 victory at home against Jomo Cosmos to get the much-needed morale boost. They now occupy 12th place on the log with one goal scored and three conceded. I foresee a win at home for Highlands Park. This will be a beguiling encounter between two teams that are yet to taste a defeat this season. Mthatha Bucks and Witbank Spurs lie third and fourth respectively. Amatholamnyama couldn’t find the back of the net against struggling Richards Bay last week in a match that ended goalless. Spurs go into this one off the back of two consecutive draws and they know the danger that is posed by their opponents who underwent a massive overhaul last season, signing 18 new players. Their ability to score goals this season might be very helpful. Back Spurs for a win away from home. One of the most defensively stubborn teams in the country managed to grind out a 1-0 win at Mbombela in the previous round. They still remain unbeaten after three games with two draws and one win. The big question is, will they defend at home against a lesser opponent? Ubuntu Cape Town’s financial injection that they received at the beginning of the season doesn’t seemed to have remedied their situation. They remain winless after three games and they are only fourth from the bottom. This is likely to end in a win for the home side who are more tactically disciplined. Stellenbosch are expected to be in contention for the top spot come end of the season but they’ve had a modest start. Losing coach Sammy Troughton to Free State Stars seems to have destabilised them a little, however, one must note that they may have collected only five out of a possible nine points, but they remain undefeated. Black Leopards who were involved in the PSL promotional play offs at the tail end of last season got the shock of their lives at Princess Magogo Stadium when they lost to newly-promoted Uthongathi 1-0. They will be looking to turn the corner against other promotion pursuers. I think this one will end in a draw. University of Pretoria have a mixed bag of results over their first three matches, winning one, drawing one and losing one. Shaun Bartlett’s boys reacted to the 5-0 embarrassment at Jomo Cosmos by beating Highlands Park 1-0. Royal Eagles remain winless in their opening three games with only two points out of a possible nine. They’re enduring an unimaginable start as they are expected to challenge for the title or at least book a play-off spot. Both teams are too inconsistent but I’m tipping Eagles. This clash is between two sides who are fresh from the ABC Motsepe League, one has adapted quickly but the other one anchors the table with one point out of a possible nine. Super Eagles have lost two of their opening three games and have drawn the one against fellow strugglers, Ubuntu Cape Town. Uthongathi FC remain unbeaten in the second tier of South African football with two draws and one win. The Cane Cutters’ victory which shocked the whole nation came at Princess Magogo Stadium against Black Leopards, courtesy of Celimpilo Ngema’s solitary goal. I’m expecting Uthongathi’s high tempo game to get the better of the hosts. Cape Town All Stars are the surprise package of the NFD as they currently top the standings with seven points in three games. They were held to a 2-all draw at Witbank Spurs last week but they managed to go one point clear of now second-placed Highlands Park. Mbombela couldn’t break Real Kings’ rock-solid defence last week and they were punished as the KwaZulu-Natal team got one chance and scored. Mbombela have won once and drawn twice since the season started. This should be a victory for the tale toppers at home. Off the back of a convincing 5-0 triumph against University of Pretoria, Jomo Cosmos were beaten 1-0 by the rookies, Tshakuma in Limpopo and it looks like Jomo Sono’s team lacks consistency. If they are serious about coming back to the PSL they must start picking up results sooner rather than later. Richards Bay FC who were formed to fill the gap left by Thanda Royal Zulu being bought out by AmaZulu have found the going very tough in the NFD. They’re second from bottom after a winless three games. Home advantage is likely to work in Cosmos’ favour.